Garry Winogrand: Color is curated by Drew Sawyer, Phillip Leonian and Edith Rosenbaum Leonian Curator of Photography, Brooklyn Museum, with Michael Almereyda and Susan Kismaric. Leadership support for this exhibition is provided by the Phillip Leonian and Edith Rosenbaum Leonian Charitable Trust. 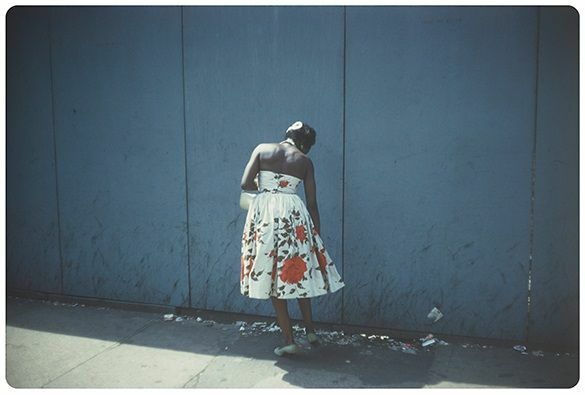 We are grateful to the Center for Creative Photography at the University of Arizona, Tucson, which houses the Garry Winogrand Archive and whose support made this exhibition possible. Delve into Winogrand's legacy with photographers Khalik Allah, Tina Barney, John Edmonds, and Elle Pérez.